Director of the Pasadena Kiwanis Club and Founding Donor of the Pasadena ISD Education Foundation, Melvin (Mel) Cowart has been selected to receive the Pasadena ISD's Distinguished Citizen award for 2013. He will be honored by the district and the Pasadena ISD Board of Trustees at a reception on January 16 at the Frank Braden Professional Development Facility -Carmen Orozco Center. A diligent supporter of the Pasadena community and the school district, Cowart’s generosity has impacted the lives of countless students both locally and internationally. His humble heart and servant spirit have brought him recognition both as an established businessman in the community and as a philanthropic supporter of education. Pasadena Kiwanis Club Secretary and local historian Jerry Britain has been friends with Cowart for four decades. People who meet Cowart agree that he has an inviting smile, a quick wit and a generous heart. A conversation with him can turn into a comic routine as well as a historical lesson. 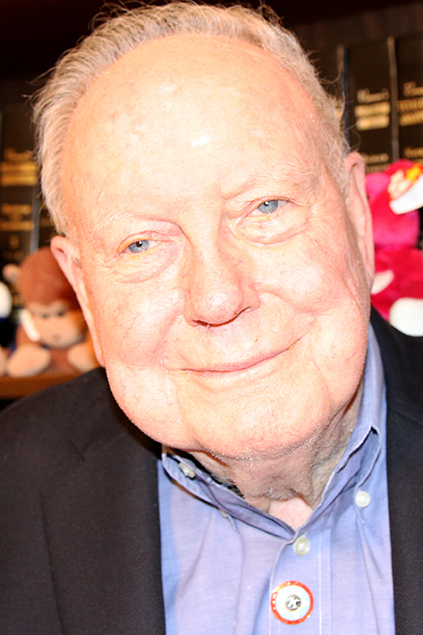 After graduating from Sam Houston State University in 1948, Cowart began his professional endeavors in a financial services company in Pasadena and later a mortgage services company. He remained in the mortgage business even after graduating in 1952 with a Doctorate of Jurisprudence from South Texas College of Law. It was during these busy years that he fell in love with his secretary, Mary, who quickly became his wife and the mother of the couple’s only son, Steven L. Cowart. In 1974, Cowart moved his law practice to Pasadena. He and his late wife shared the operations of their home rental and financial business until her death in 2006. Cowart and his wife set the groundwork for the Pasadena ISD Education Foundation by becoming founding donors. In addition, they funded a worldwide matching donations program to eliminate iodine deficiency. In 2006, the Mel and Mary Cowart Sports Pavilion was built in his honor at the Salvation Army in Pasadena. At 86 years young, Cowart currently serves as Director of the Advisory Board of the Salvation Army of East Harris County. He also serves on the Board of Trustees for Kiwanis International Foundation and the Texas-Oklahoma Kiwanis District Foundation. He is a member of the Kiwanis International Founder’s Circle, The Heritage Society, a 26-Diamond Level Hixson Fellow, C.T. Bus Fellow and Walter Zeller Fellow. • Terry Brotherton, 2009 ? • Carroll Smith, 2008 ? • Emory Gadd, 2005 ? • Rosalie Kuntz, 2004 ? • Gilbert Aguilar, 2000 ? • John Phelps, 1998 ? • Kathleen Morris, 1997 ? • Kathyrn Whitfill, 1996 ? Mel Cowart presents a mini grant check on behalf of the Pasadena ISD Education Foundation to support a program at Sam Rayburn High School.